Successfully Added Sports Exercise Watch - Pulse + Calorie Reader, LCD Display to your Shopping Cart. 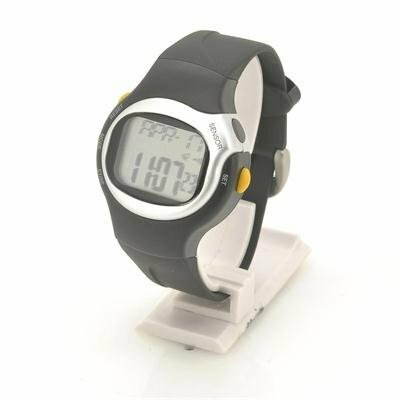 Sports Exercise Watch with an LCD display instantly indicates how many calories you've just burned with that last workout. Providing you accurate, real-time training data based on your pulse and personal fitness level, this Sports Exercise Watch is a must-have training accessory for weekly gym-goers, sports enthusiasts, and everyone in between. This sports exercise watch is the most convenient way to ensure optimal fitness while working out and easily calculates how many calories you've just lost. The simple-to-use and slim, lightweight design makes it ideal for outdoor jogging, mountain climbing, or even your next trip to the gym. This Sports Exercise Watch is made for you and you alone and readings are much more accurate since they are based off your own weight, age, and gender. 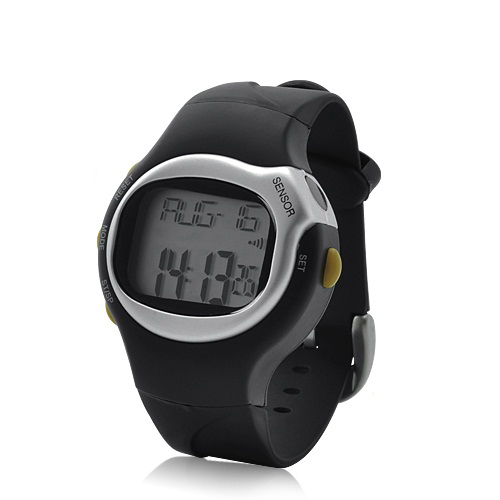 For even more accurate and real-time data readings, this Sports Exercise Watch uses a convenient, built-in ECG fingertip sensor to read your pulse! When you're done, this Sports Exercise watch will instantly tell you how many calories you've just lost! Since data is based on your own pulse level and personal data, you can be sure the reading is 100% accurate. Added to the pulse rate and calorie reader, you will also be getting a time and date display, a stopwatch, and even an alarm clock. If you want to get serious about killing calories then this watch is ideal. This product is in stock and can be dispatched within 24 hours of ordering with a 12 month warranty. Brought to you by the leaders in wholesale electronics and personal health gadgets, Chinavasion. Calculated amount of calories lost is based on personal data (Age, Gender, Weight and Pulse level). For most accurate pulse readings, softly press your fingertip against the ECG sensor. everything about this is great, pretty accurate as long as you touch the sensor properly. I workout with this useful watch and i am very pleased. The price is very good and the pulse reader works just fine. on 2010-10-18 21:53:58 Very good, perfect!